One thing I love about Instagram is finding boutiques that carry unique clothing. 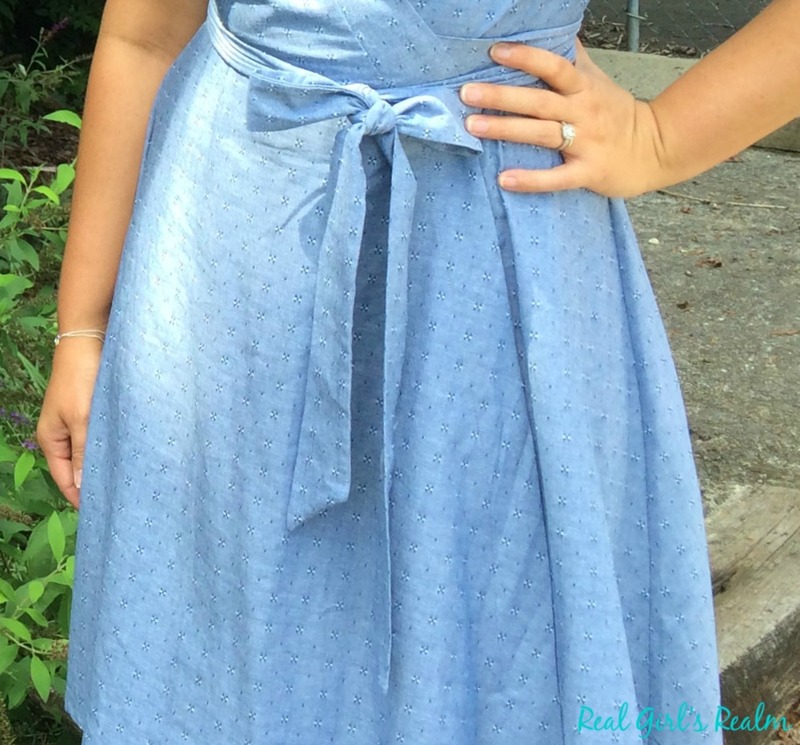 I found Shabby Apple through a blogger giveaway and immediately fell in love with their feminine, retro looking dresses! 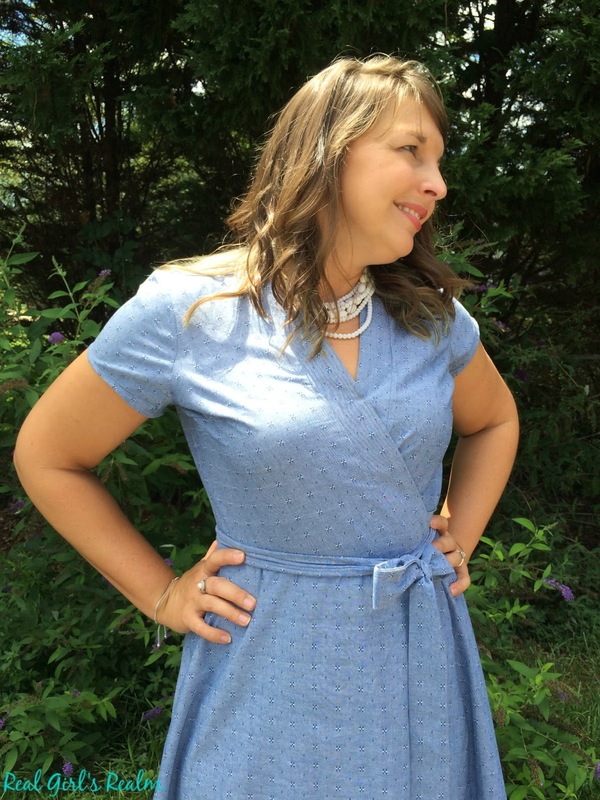 I purchased the Chambray Baz Wrap dress, which is made of cotton and has a classic silhouette. I like the cut of the sleeves and the fact that it is knee-length, since I am tall. I paired it with a vintage, multi-strand white bead necklace I picked up at a thrift store and pink t-strap heels that have a retro look. I love the subtle print and the bow tied at the waist. 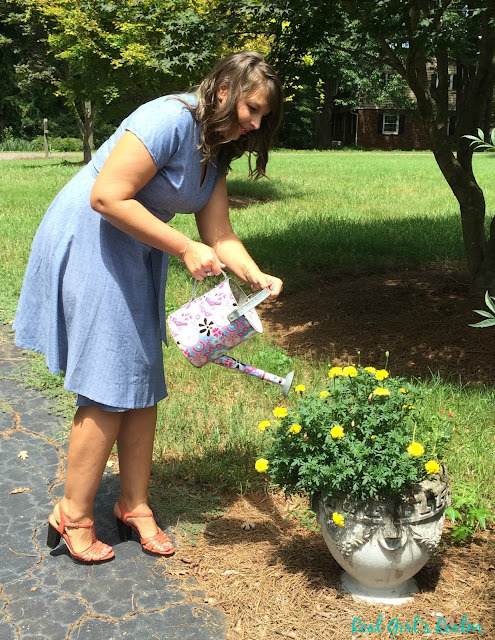 It is such a feminine look and the A-line wrap style is flattering for any body type! 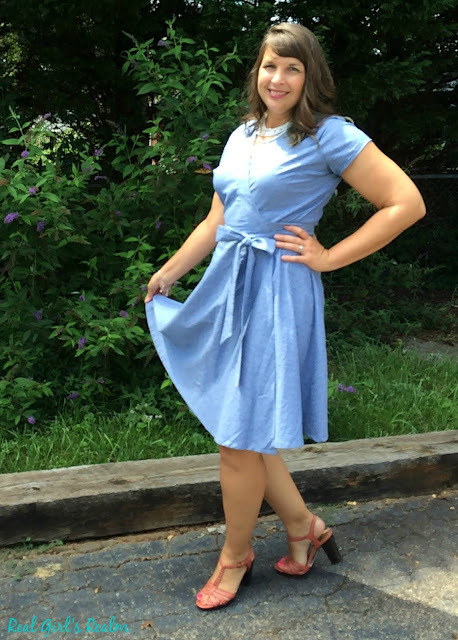 Because the chambray material is thick, you could easily wear this into fall by adding a cardigan and booties. 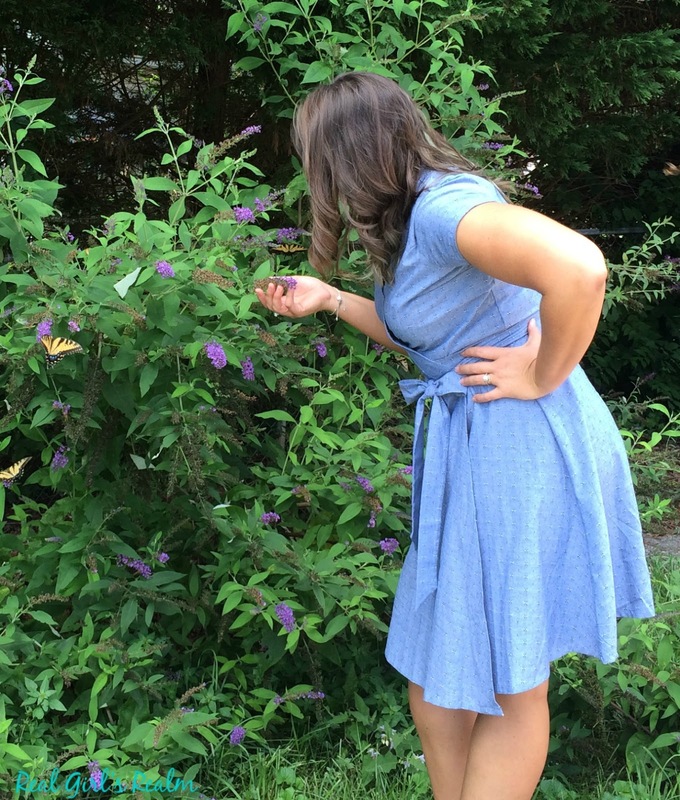 If you are looking for vintage-inspired, classy clothing, (aff. link) Shabby Apple is the place for you! They carry everything from casual dresses and skirts, to swimwear, to elegant wedding attire. Be sure to check out the sale items too, because I scored this dress for about $35, which is a steal for the quality. I didn't know that this was a Shabby Apple dress. Cute! Very cute - I love vintage style dresses :) You look lovely, of course! Thank you Ash! I love them too...I wanted everything on the site! I love A-line dresses, they always make me feel good about myself! This one is so timeless and beautiful. Love it on you! I agree, Emily. The A-line shape is flattering for my body type. I wish I could wear A-line dresses! I just love their feminine feel, but they aren't very flattering on me. This is absolutely darling on you! Thank you, Laura. I love the shape of A-line dresses!